NEW: Starling Cycles Murmur Factory Edition. 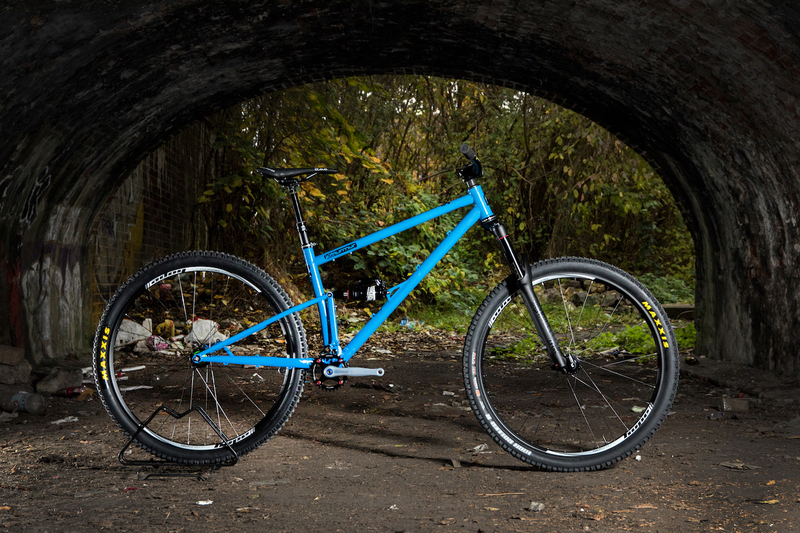 The new Starling Cycles Murmur Factory Edition is the latest hand built 29” mountain bike frame from Starling Cycles. The frame is built in Reynolds 853 steel with modern angles to be fast, aggressive and beautifully simple. The new ‘Factory’ frame has been designed in the UK by Starling owner Joe McEwan and hand built in Taiwan by ORA, one of the World’s very best steel mountain bike frame manufacturing facilities. Customers will also see a price reduction when compared to all British-made Starling frames. Frames will be available in two sizes and with a choice of rear shocks from Rock Shox, DVO or Fox. They can be supplied as a frame-only package or build kits with components from Rockshox, DVO, Fox, SRAM, Hope, Middleburn and Maxxis. Frames will be available in Primer Grey with black graphics as standard or in a choice of custom colours for an extra cost. Still want a custom Murmur, built in the UK? Riders that want a custom geometry, British-built Starling frame won’t be disappointed. Starling will continue to hand-build frames in the UK and customers can simply choose whether to commission a one-off UK built frame or order one from the ‘Factory’. You can learn more about the Starling Murmur Factory here on our website. This entry was posted by Jamie Edwards in News.